"Finally... You Can Stop Paying High Monthly Fees For Your Shopping Cart and Start Using The Best and Easiest System Today 100% FREE!" PayBlue Now Replaces Them All... Create Your Free Account Today! Today everything changes for you. We want to introduce to you a major change regarding your shopping cart and how you process online orders for your products and services. Up until today, there weren't a lot of choices in what you use to take payments, what you use to keep track of your customers and how you manage your business. But more than that... It's A Major Pain! I know I'm hitting a nerve with many of you. You've probably thought the same many times yourself. It doesn't have to be this way. In fact... no longer will you have to spend hundreds of dollars a month with a system you can't even use, you can start using PayBlue today by simply signing up for your FREE ACCOUNT TODAY! Click Here To Setup Your FREE Account! Even Better Stop Paying Monthly Fees For Your Shopping Cart! You already know many shopping carts have huge monthly fees, many several hundreds of dollars a month whether you use it or not. I don't know about you, but that seems crazy. We, here at PayBlue, wanted a more fair system. You only pay us when you make a sale and we even have a cap on what you pay. Unlimited Use of Our Complete System! 2.) You only pay us when you actually make a sale! Let me explain... when you make a sale with PayBlue you pay us simply $1 for the use of the system. Make 1 sale we charge you $1. Make 10 sales we charge you $10. We have a built-in cap of a max of $197 but that's ONLY after you make sales. Think about this... it's only fair that we charge you more if you use the system more. You're using my resources so you should pay a little more. But, if you don't use our system for the month, then why should pay anything? We believe this is the fairest system that exists in the e-commerce world. A TOTAL GAME CHANGER! Read This Over Then... Sign Up For Your FREE PayBlue Account Today! Unlike other systems, PayBlue wants to make your life easier. Our product setup is by far the easiest and most direct way to start selling your products online. You don't have to be a rocket scientist to figure out what to do, nor do you have to pay thousands of dollars to work with a tech. PayBlue is easy! Have other people market your products and services for you with your own affiliate program. 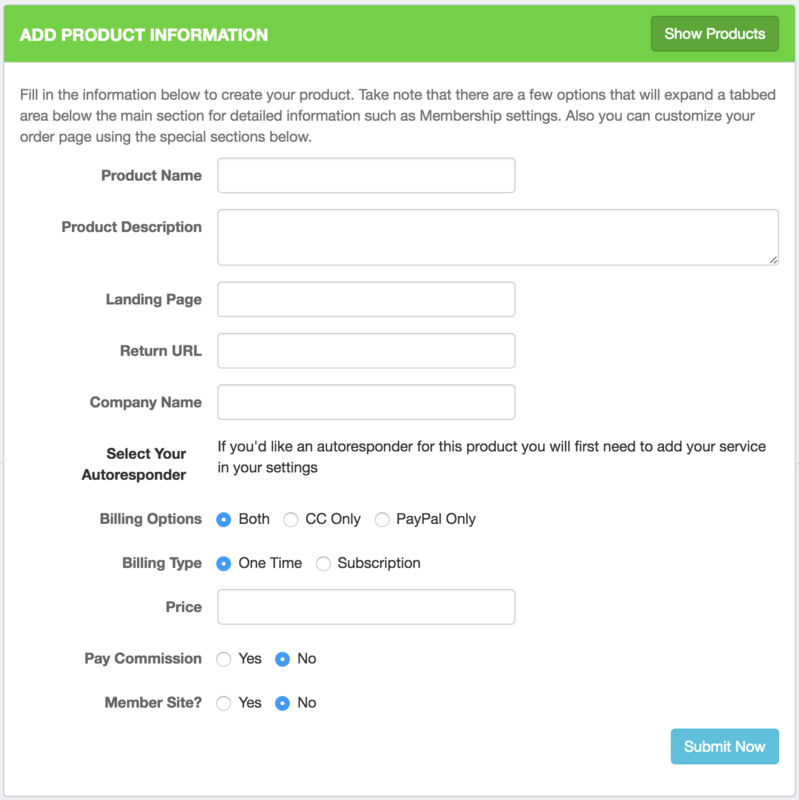 PayBlue allows you to set up your own affiliate program instantly for any product you have. Set it up one-time commissions or monthly recurring. Choose to pay on a percentage or a flat rate per sale. 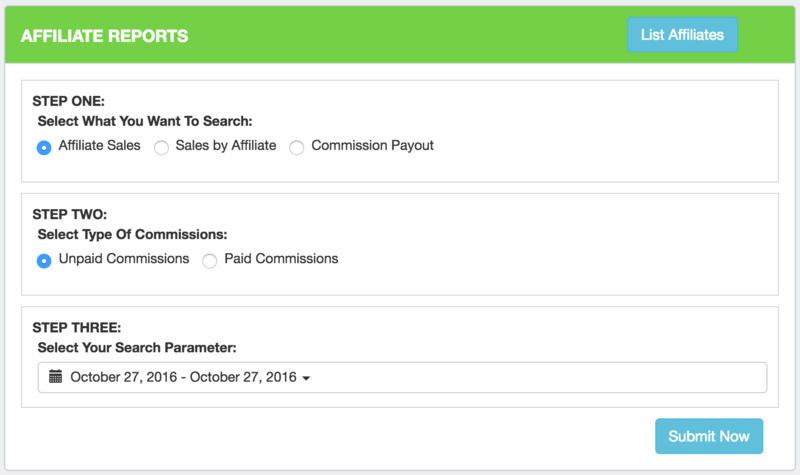 Give your affiliates their own center to check stats and to get marketing materials. PayBlue allows you to chose your own payment processor. 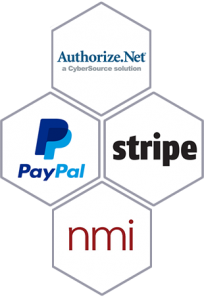 Currently, we fully integrate with Authorize.net, NMI, Stripe, and PayPal. Simply enter your account details and you'll be able to start processing orders within minutes with PayBlue. We are continually working to integrate more processors based on our customer's input. If we don't currently integrate with your payment processor let us know and we'll see what we can do. We are here to help you market online more effectively. PayBlue integrates with many of the most popular email and autoresponder systems on the Internet. As we progress we'll be adding additional autoresponder services. If you have any suggestions you'ld like to see integrated please contact us. PayBlue Has What You Need... Get Your FREE Account Today! I could go on all day tell you the many benefits of PayBlue, but the only way you'll know how easy it is to use is to sign up for your very own account. There's no cost to get an account. Like I said before, you only pay when you actually make sales. An Easy To Use System Built For Your, Everything Is Waiting Right Now! Sign up today, set up your PayBlue Account and then start enjoying the benefits of a system that's designed to make your life easier. Don't wait, sign up today! There's nothing to lose and a new amazing system that's waiting for you right now. Click the button below and start using PayBlue today! Click Here To Setup Your FREE PayBlue Account Today! PayBlue is a unique merchant cart system built for but not limited to the online business owner, coach, and digitalpreneur. © 2018 PayBlue LLC. All Rights Reserved.